(Courtesy LDS Church) The Debra Bonner Unity Gospel Choir (formerly Genesis Choir) of Salt Lake City participated in the national convention, July 15, 2018. The May summit between top leaders of the LDS Church and the NAACP planted seeds of cooperation that are already bearing fruit. On Sunday night, Mormon general authority Jack N. Gerard announced that The Church of Jesus Christ of Latter-day Saints was teaming up with the nation’s oldest civil rights organization on a schooling and jobs push on the East Coast. Gerard is the first high-ranking LDS authority to speak at the group’s national gathering, according to a news release from the Utah-based faith. 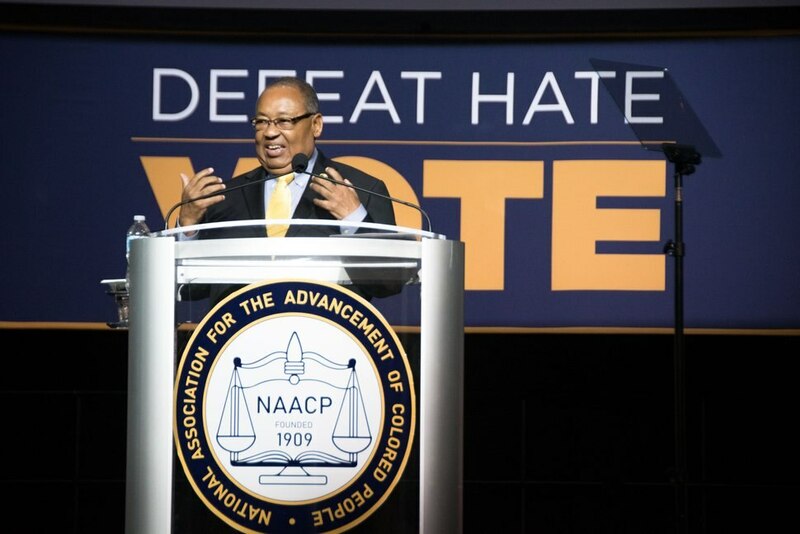 Jack N. Gerard of the Seventy of The Church of Jesus Christ of Latter-day Saints announced expanded collaboration between the NAACP and the church at the organization’s 109th annual national meetings held in San Antonio, Texas, Sunday evening, July 15, 2018. This may be the first of many unified NAACP-LDS projects. Leon W. Russell, head of the civil rights group’s board, noted that the budding relationship between the two institutions is still developing. 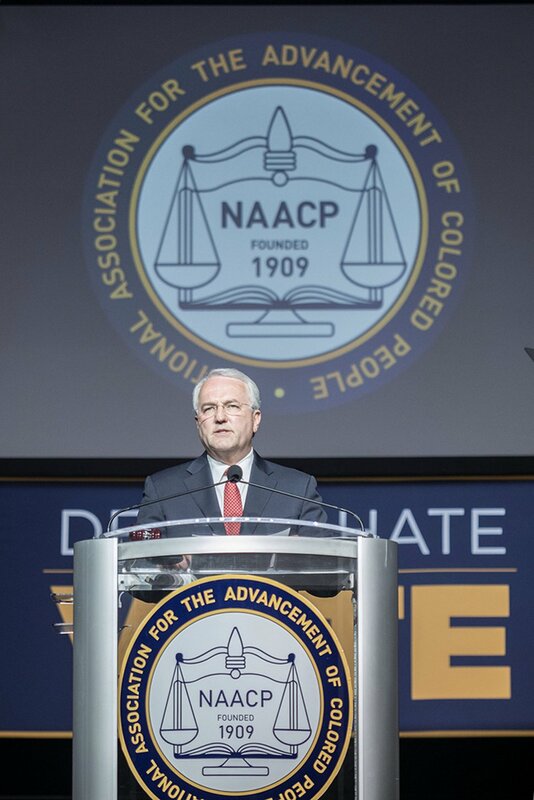 Leon W. Russell, chairman of the NAACP board of directors, spoke at Sunday’s mass meeting and introduced LDS general authority Jack N. Gerard, July 15, 2018. 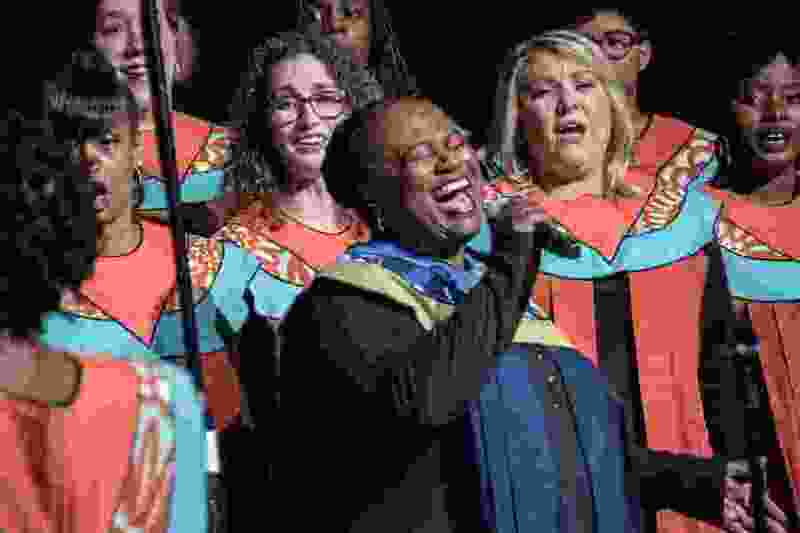 In addition to Gerard’s speech, the Debra Bonner Unity Gospel Choir (formerly the Genesis Choir) of Salt Lake City performed three times at the NAACP sessions. The emerging ties between the Mormon church and the NAACP reflect a monumental shift in attitudes. In the 1960s, the civil rights group protested Mormonism’s former racial ban — discarded in 1978 — which excluded men and boys from the religion’s all-male priesthood and women and girls from its temples. The Debra Bonner Unity Gospel Choir (formerly Genesis Choir) of Salt Lake City also participated in the national convention, July 15, 2018.